I have a house full of girls. Tea parties and spa days are a staple for me whether I want them to be or not. My girls are ALL girl. Well, some of them more than others, but all the same nonetheless. That being said, I should be a pro at Tea Time. 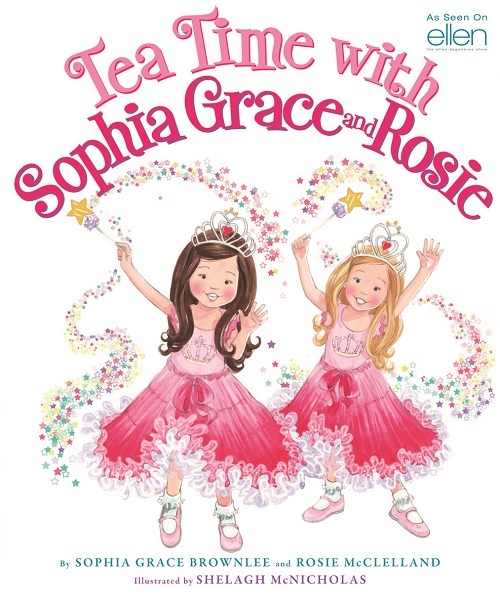 But I was able to discover some great Tea Time Tips with Sophia Grace and Rosie. Who are Sophia Grace and Rosie? Well, Sophia Grace and Rosie are two incredibly cute cousins who have made several appearances on The Ellen Degeneres Show. Because of this, they have become YouTube sensations. In fact, when I showed by 7 year old the book she knew exactly who the little girls were because she had watched them on YouTube. Living every girl’s dream, Sophia Grace and Rosie enjoy wearing their pink tutus and dancing their way into hearts of viewers worldwide. In Tea Time with Sophia Grace and Rosie, the cousins plan a tea party with lots of pink, glitter, chocolate, and cotton candy. 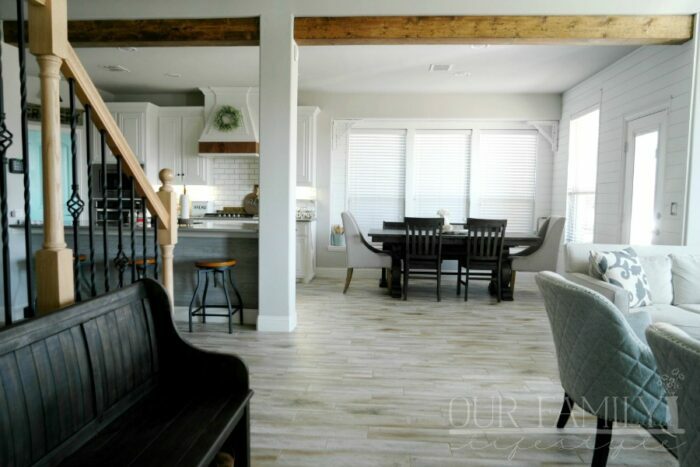 Each one is allowed to invite one guest–and they invite each other! Ultimately, the most fun part of the tea party is sitting around eating sweets and having girl talk. 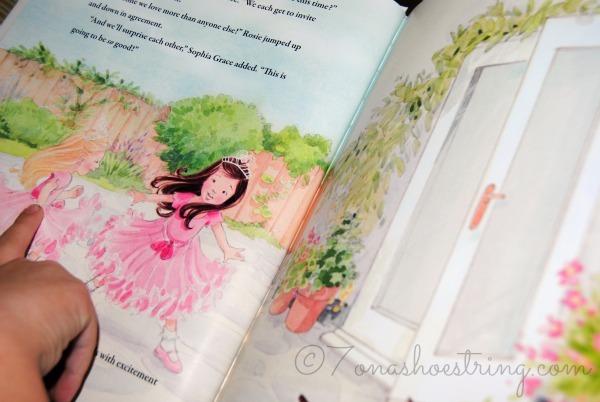 The book will feature photos of the girls as well as dazzling illustrations by Shelagh McNicholas. 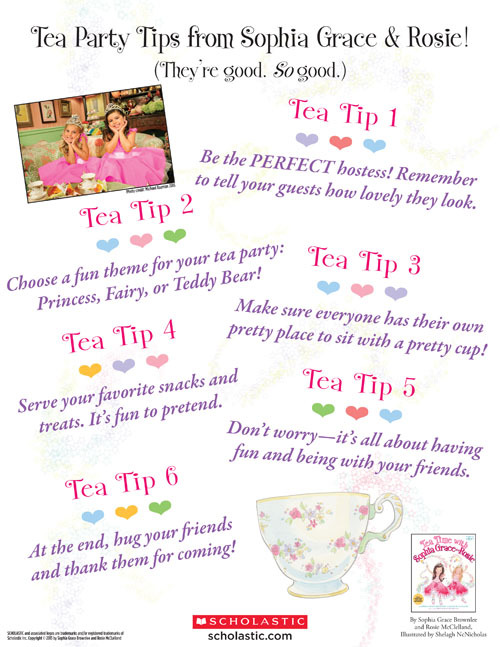 Plus, young girls will love the tips for how to host a tea party! My girls love to dress up and I am constantly being served tea and pastries even as I sit at my desk. Even my 3 year old has been gracefully serving me alongside her sisters for a while now. It is like an innate ability they were each born with. But me? I totally need the tips. Good thing we had the book to read through. The girls absolutely adored Tea Time with Sophia Grace and Rosie. Both found it amazingly sweet that when each girl is offered the chance to invite only one person, they choose each other. 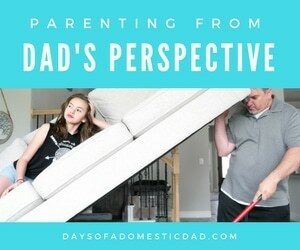 I would hope my girls would do the same. 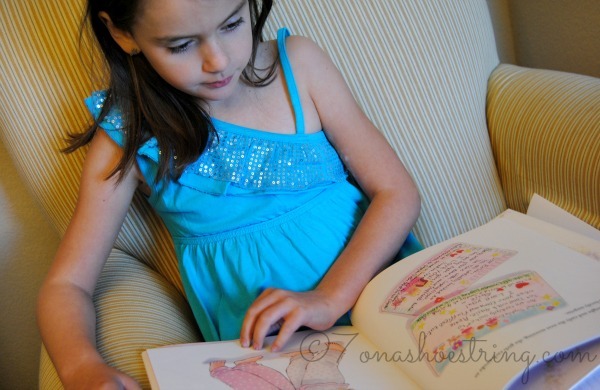 Secondly, my crafty 9 year old enjoyed reading about how the girls pulled out crayons and made their own invitations. The magical fairies and wand that helped the girls transform their room into a Princess Castle pulled at my 7 year old’s senses. She was wide-eyed as she read about the sparkles everywhere. Me? My sweet tooth was all about the several kinds of cotton candy and chocolate they were going to serve at the party. Sounded perfect to me! 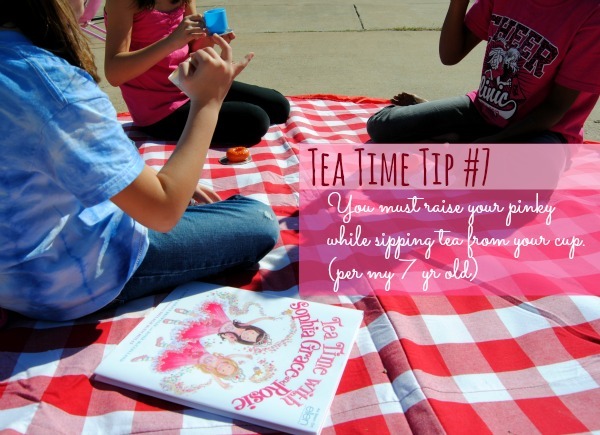 After reading the book a few times, the girls were excited when they were able to play outside with their friend and able to have their own Tea Party. Torn jeans, mismatched pretend dishes, and an iconic red-checkered blanket made for the perfect outdoor tea time with friends. After all, it was simply about having fun with each other and their friend.